This story is many things – its a farce, its a Shakespearian pastiche, its a satire on the Royal Family, its a comedy painted in broad strokes, its a story of hidden nuances and it is also rather entertaining. It has the feel of a mid era Hartnell historical so think The Romans or The Myth Makers and you are about the right level – Brian Rix farce on the one hand political intrigue and machinations on the other. Landing on the Planet Cicero Prime The Doctor (Peter Davison), Tegan (Janet Fielding), Nyssa (Sarah Sutton) and Adric (Matthew Waterhouse) discover a painted line on the floor in the woods of a seemingly Medieval world – with Adric and Tegan standing on one side and The Doctor and Tegan on the other they are captured and find out that the line is a literal dividing line in the Duchy that they have arrived in as the Duke Sebastian (Jonathan Firth) and Duchess Miranda (Charlotte Lucas) are having some pretty severe marital problems and have taken matters into their own hands to resolve the situation. Amicable reconciliation is not on the agenda, in fact The Duke (who has captured The Doctor and Nyssa on his side of the line) has hired an assassin known only as “The Scorpion” to permanently solve his marital problems, unfortunately for The Doctor and Nyssa (or Nyssa “The Destroyer” who kills for fun” as Nyssa calls herself in possible the deliberately least convincing portrayal of bravado I have witnessed ) the Duke believes The Doctor to be The Scorpion and the next few episodes are spent with The Doctor trying to appear that he is trying to carry out the killing without actually doing it…. Its pure Shakespearian farce with both parties working against each other and hilarity ensuing. Until the final episode when the tone changes completely and the larks and misunderstandings of episodes one to three give way and the true seriousness of the situation is brought to the fore. There is a lot to this story, it is very multi layered and once again demonstrated that the Doctor doesn’t have to use violence to succeed, quite the opposite The Doctor just has to be the cleverest person in the situation, which he is by a long way and is light years ahead of everyone else in the plot. 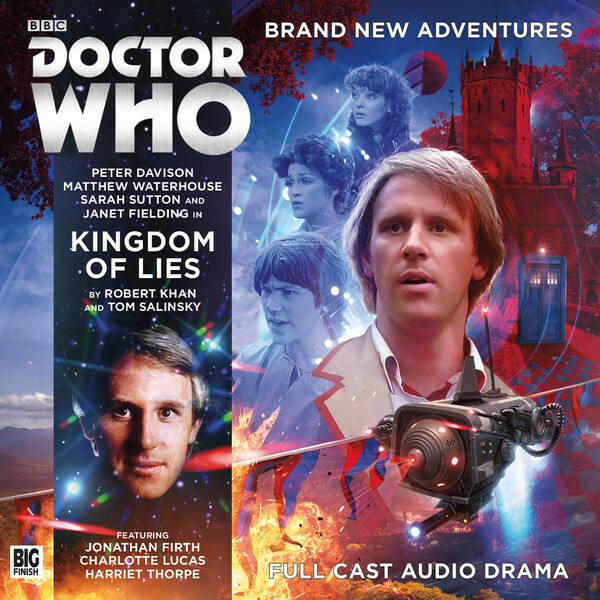 Davison is on fine form and clearly having a ball with the quite comedic material he is presented with and genuinely owns the story ably assisted by his sidekick Nyssa who as I said before is the least convincing bloodthirsty killer you could ever imagine. The story does stand up to repeated listens as the pace of all the shenanigans, crosses, double crosses and even triple crosses can make your head spin – the plotting is tight and there is not a line wasted. Doctor Who can be heavy going and some of the best stories are the grim ones but its great to let the story tellers and actors kick back and have some fun once in a while and this story is just that, a great fun start to the year to brighten a grim January 8/10.